Prepare the way for the Lord, make straight paths for Him. And all mankind will see God's salvation. -Luke 3:4,6. 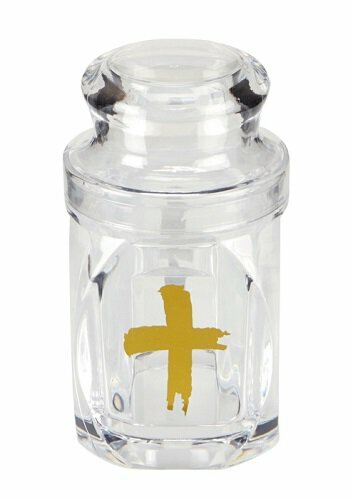 Our ash holder comes with a screw top lid and features a gold cross image on front. Holds enough ashes to serve 250+ Parishoners.